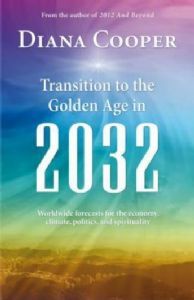 Transition to the Golden Age in 2032 will guide you to tap into the energies of the universe to gain understanding of the changes taking place. Exciting new spiritual energies will be coming into the planet and influencing specific areas, and economic, political, and climatic shifts are also predicted to occur. Renowned cosmic scholar Diana Cooper includes a time frame for this massive transition that is antic­ipated to last until Earth moves into the fifth dimensional frequency in 2032. From what to expect to how to prepare, the teachings in this book serve as guidance for the next 20 years, so that people will be able to attune themselves to the spiritual forces that are coming. "We are at the brink of the most exciting time for the planet and the most important opportunity for Spiritual Growth that there has ever been, millions of people will be waking up over the next five to ten years as our planet moves into the fifth dimension and new frequen­cies come in to raise the consciousness of everybody and everything." Diana Cooper is the author of 19 spiritual books in over 26 languages and has now started a series of children's books to empower and enchant children. Her journey started during a time of personal crisis when she received an angel visitation that changed her life. Since then the angels and her guides have taught her about the angelic realms, unicorns, fairies, At­lantis and Orbs as well as many other spiritual subjects. Diana's aim is to light the way to en­able children, adults and the planet to ascend graciously and happily. She teaches seminars worldwide and is the Principal of The Diana Cooper School, a not for profit organisation which offers certificated spiritual teaching courses throughout the world.